Why See Beijing Dance Theater - Hamlet? The story of Shakespeare's melancholy Prince is reimagined in the universal language of ballet by China's esteemed Beijing Dance Theater. Inspired by collaboration on Feng Xiogang's 2006 film The Banquet, itself based on the tale, Artistic Director Wang Yuanyuan created this exquisite adaption, capturing the famed struggles of Hamlet, as he confronts the horrifying fallout that comes with his father's murder. Formed in 2008 Beijing Dance Theater are at the forefront of Chinese ballet and have spent the better part of the last decade flourishing on stages across the world with their detailed and beautiful productions including Haze, Prism and Stirred from a dream. Sound good to you? 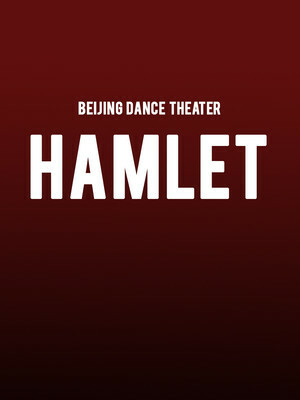 Share this page on social media and let your friends know about Beijing Dance Theater - Hamlet at Jones Hall for the Performing Arts. Please note: The term Jones Hall for the Performing Arts and/or Beijing Dance Theater - Hamlet as well as all associated graphics, logos, and/or other trademarks, tradenames or copyrights are the property of the Jones Hall for the Performing Arts and/or Beijing Dance Theater - Hamlet and are used herein for factual descriptive purposes only. We are in no way associated with or authorized by the Jones Hall for the Performing Arts and/or Beijing Dance Theater - Hamlet and neither that entity nor any of its affiliates have licensed or endorsed us to sell tickets, goods and or services in conjunction with their events.